It weave left, slip right, then disappear through the auburn treetops. It’s not often you get such a clear look at an escaping grouse during the early weeks of the season, but there I was, frozen as the bird slipped through the prettiest shooting lane I’d see on the entire trip. I never pulled the trigger. The embarrassing reality of this scenario is that I’d been caught off guard. It was my first grouse hunt, and I wasn’t prepared for the surprise of the flush. That was a tough lesson, but it wasn’t the only one I learned during that trip to the hallowed grouse of NW Ontario’s Boreal Forest. Here are some more hits and misses that, if you’ll consider before you reach the woods, should help you bag more early-season birds. 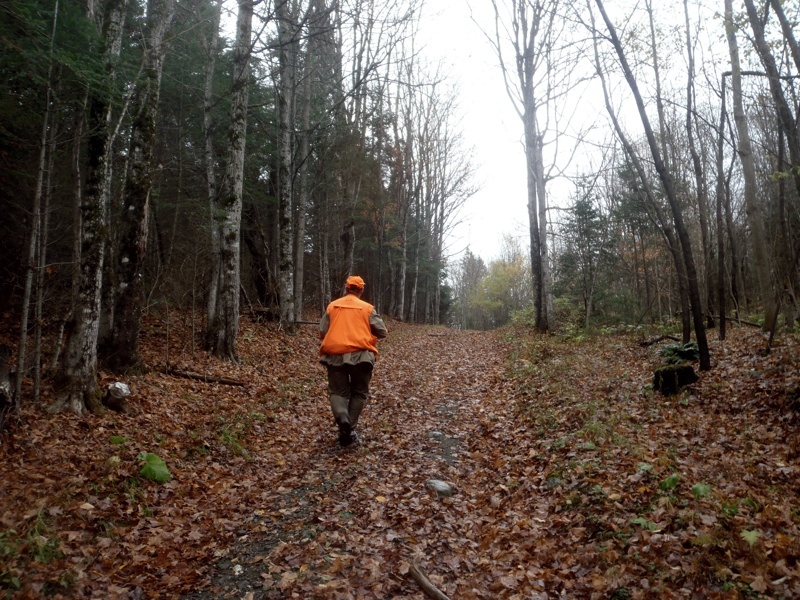 There’s no place for methodical shooting when hunting grouse. There’s no time for the shot to develop, as with long, loping shots on the sporting clays course. 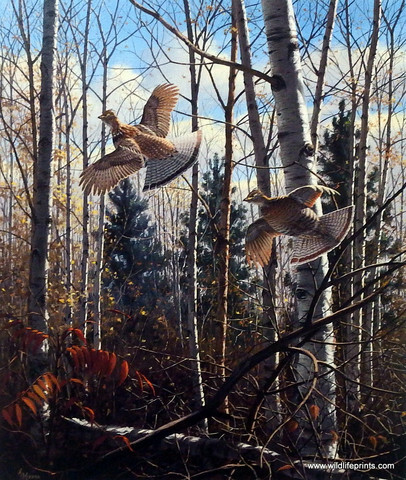 Grouse are fast, and they live in dense cover. But you don’t have to be a snap shooter to be successful. You just have to be aggressive. You should have nothing on your mind but finding that bird. The sooner you see it, the sooner you can move for it. Visualize beating the bird to the treetops with your gun. We started our morning busting brush but by midday got lazy and stayed on old logging roads & trails. The result was a half dozen points in cover that we couldn’t reach in time. Our hunt picked up tremendously in the afternoon, when we got back in the brush. Twice I flushed grouse that I thought were out of range, although they were visible, only to realize afterward that they were makeable shots. Part of the fault was how I prepared. Before the trip I had practiced mostly fast, outgoing targets thrown from a few yards in front of me—textbook fast-flushing bird presentations. I was visualizing those shots in the field, and when birds flushed from farther away, I had the impression they were out of range. Be sure to practice at longer ranges. A solid ready position is a key to hitting fast-flying birds. It gets your body and eyes ready to make a quick, efficient move. When you moved in on birds with the stock up under your armpit and the barrel pointed forward, you will shoot much better. 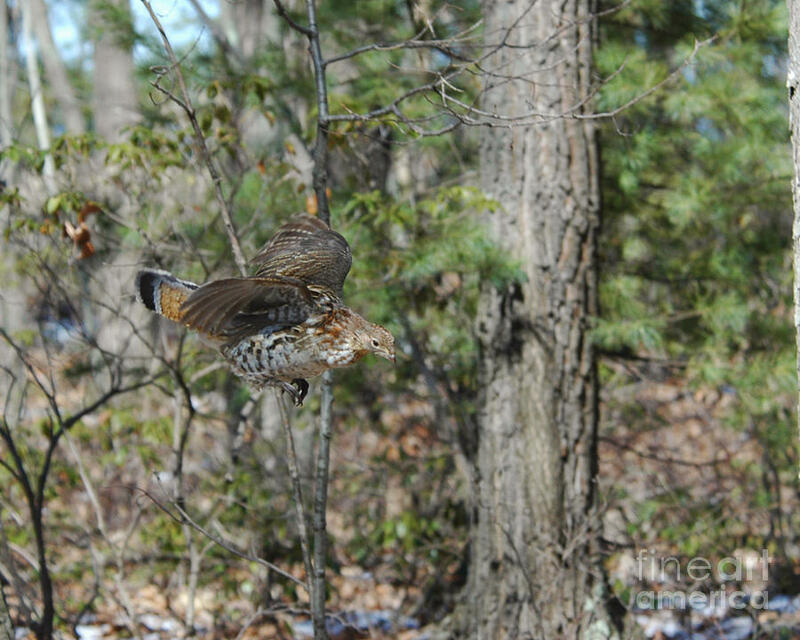 Grouse might not covey up like quail, but they do often travel in close proximity to each other, especially where there’s a good food source. I saw this first-hand when we flushed three pairs of grouse over the course of a day. So when a bird flushes out of range or doesn’t offer a shot, don’t drop your guard. Be ready for another bird to flush.